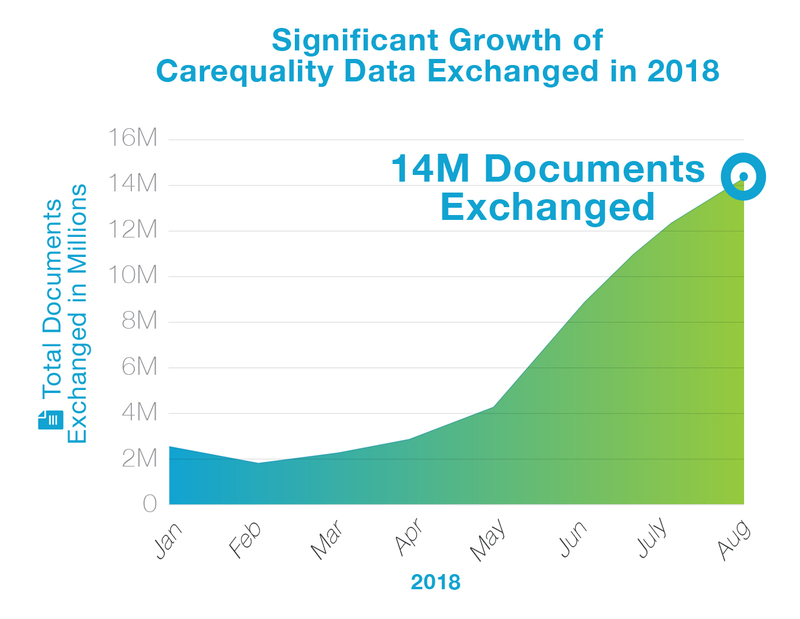 Carequality’s story becomes more compelling every month as we set new records for health information exchange. More than 14 million documents were exchanged in August 2018. That’s over 59 million documents exchanged since we started measuring in December 2016! Share your experiences about how Carequality has affected your organization in how it does business or how you deliver care. Does having easier access to medical records from multiple facilities directly impact your ability to deliver quality patient care? We want to know. Please complete the following form to share your story. Can you share some metrics/stats on how Carequality has helped your organization? Would you be willing to be quoted in a Carequality press release or case study? How can we improve Carequality?